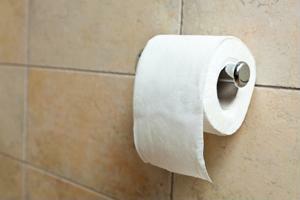 Many of us have heard plenty of toilet-related horror stories. There's the classic tale of the rat that got into the pipes or the snake that worked its way up the drain and into the bowl. Then there are the urban legends about airplane toilet mishaps or cherry bomb pranks gone terribly wrong. At the end of the day, these terrors have no traction compared to the reality of accidentally flushing 8,000 euros in engagement rings. Ashling Cahill was staying at the Bellinter House Hotel in Navan, County Meath, Ireland, and wrapped her engagement and pre-engagement rings in toilet paper to store in her wash bag. However, when the bag spilled over into the toilet, Cahill's friend Imogen Gunner casually flushed what she thought was a wad of toilet paper down the loo. Cahill's epithet once she found out could only have been situationally-appropriate. A search of Tolkien proportion for the rings immediately went underway. A total of 12 men from a variety of waste water services and septic tank companies volunteered their help. Over the course of eight hours, these volunteers plumbed the depths of their generosity as well as the hotel's septic tank. When toilet cameras and a vacuum failed, a particularly brave man named Barry Benson made a series of spelunking excursions into the tank on his own in search of the lost rings. Unfortunately, he came up empty handed. "The guy ... has confined space training," Jim Phibbs, director of one of the responding wastewater services, told the BBC. "[He] went down three times with oxygen tanks each lasting 20 minutes." While Cahill and Gunner's friendship seems to be on stable grounds (Gunner is still scheduled to be the singing talent at Cahill's upcoming wedding), the question remains of how avoidable this accident was. Should Gunner have opened the floating tissue before flushing? Or, perhaps we should all just be careful about where we keep our valuables and toiletry bags. Over the gaping maw of the toilet bowl is never an advisable place to put your things, unless you're dying to be out 8,000 euros and make international news. "This was a complex operation," Phibbs added. One can only imagine poor Benson's evaluation of that understatement.